London Luton Airport is the fourth busiest airport in London behind Gatwick Airport, Heathrow Airport and Stansted Airport. However, the London Luton Airport has seen the biggest growth rate in passenger numbers at 19.4% in 2016 when compared with 2015. With this increase in passenger numbers at the London Luton Airport comes an increase in demand for other passenger services such as Currency. 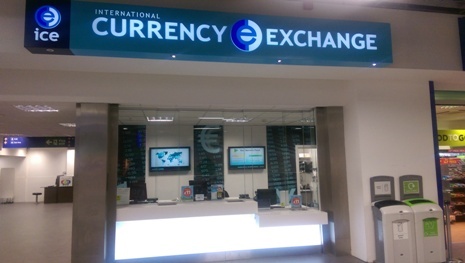 At the London Luton Airport the main currency supplier is ICE Plc of which they offer a Click and Collect Currency service. However, at present the Click and Collect Currency service at London Luton Airport only consists of printing off or downloading a voucher from the ICE Plc website. This then has to be presented to the ICE Plc branch at the London Luton Airport to receive a discount on the Euro currency and the US Dollar currency. Without this ICE Plc voucher you will be charged a higher exchange rate and may also incur additional commission fees. This also means you are unable to fix your exchange rate before you get to the London Luton Airport. Typically, exchange rates at airports are not the best and are in fact some of the worst as you have less opportunity and time to compare currency exchange suppliers and exchange rates before jetting off overseas. Our advice to consumers is to always compare Currency online in advance of at least one week before travelling to the airport. Typically, online currency exchange suppliers will offer some of the best exchange rates with FREE Delivery included. In order to provide a comparison between buying currency at the London Luton Airport versus online the following example is based on exchanging 1000 GBP to Euros from Today’s Exchange Rates. As you can see above the Euro Exchange Rate on the ICE Plc website from today was 1.0792 which when exchanging 1000 GBP to Euros would get you 1079.20 Euros in your pocket in return. As you can see above with the Sterling to Euro Exchange Rate compared using our Euro Exchange Rate Comparison Table from today you could get 1123.50 Euros in exchange for 1000 GBP at better rate of 1.1235 from Travel FX. This basically equates to an extra 44.30 Euros in your pocket for your holiday which could easily pay for lunch out for two people. By planning at least one week in advance of travelling you could pocket extra Travel Money for your holiday spending money. 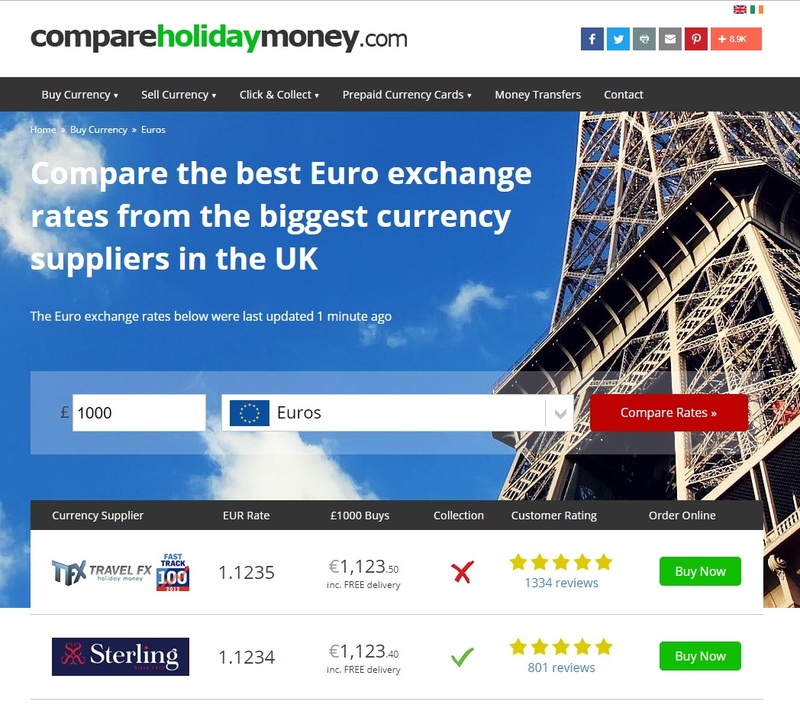 If you would like to compare today’s online currency exchange rates just head over to our Buy Currency Comparison Tables where you can compare the Sterling against the Euro, US Dollar, Turkish Lira and many other popular tourist currencies. Alternatively, if you have less time and are unable to get FREE Delivery to your home address before departing overseas then we have another option you. Why not try our Click and Collect Currency comparison table which will allow you to compare the best exchange rates closest to your location. But, please keep in mind that these won’t be as good as the online only Currency Exchange Companies.